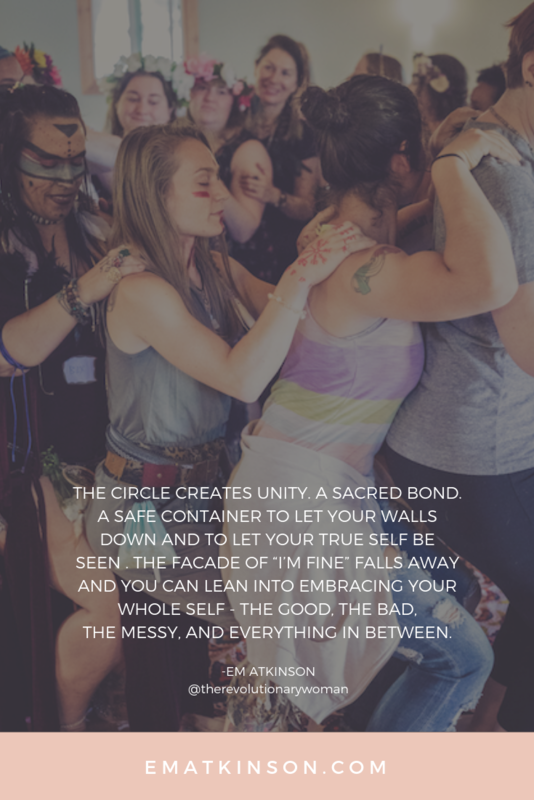 The moment I sat in my first women’s circle, my life changed. It felt like coming home. Something familiar and foreign. And I wanted more of it. The journey of healing and self discovery can be hard, and not having support makes it so much more difficult. For this reason, women’s circles are becoming an integral part of my business model. Everytime I attend or lead a circle I am amazed by how quickly the women go from strangers to sisters. The circle creates unity. A sacred bond. A safe container to let your walls down and to let your true self be seen. The facade of “I’m fine” falls away and you can lean into embracing your whole self – the good, the bad, the messy, and everything in between. And when the walls fall away what’s left is the opening to create real, authentic relationships rooted in vulnerability and trust. In circle we are all equal. No one is above another. You realize that you are not alone with what you’re experiencing in life. Everyone is going through something. You see yourself in your sisters stories. In their pain, realness, triumphs and tears. You realize that no one has it all together and that life is messy and complicated. And that’s OK. In my experience, nothing compares to the healing that can happen in a 3 hour women’s circle. I’ve witnessed sisters step into circle with the weight of the world on their shoulders and leave feeling light. That is the power of sharing. The power of authentic connection. That is the power of women coming together. And here’s the thing, stepping into circle feels completely natural. That’s because coming together in circle IS completely natural. It’s gaining more popularity nowadays but this isn’t something new. Women have been gathering in circles for thousands of years. In ancient times women would go into a red tent while they bled. Since women would bleed in sync this was a time for the women of the village to come together. A time to share stories, rest, heal, nurture their bodies and the sacred bond of womanhood. “The great mother whom we call Inanna gave a gift to woman that is not known among men, and this is the secret of blood. The flow at the dark of the moon, the healing blood of the moon’s birth – to men, this is flux and distemper, brother and pain. They imagine we suffer and consider themselves lucky. We do not disabuse them. Women are awakening. We’re remembering our roots. A remembrance that runs through our blood. This is why when we gather in circle it feels like coming home. Your blood remembers. It’s time to come together to heal the sisterhood wound. I understand that it can feel vulnerable to let your guard down and step into circle. The mistrust among women runs deep. For generations women have been pinned against each other. We have seen each other as our competition. We have been taught to gossip, judge, and put each other down. How many times have you used gossip as a tool to connect? The sisterhood wound may run deep but the bond of sisterhood runs deeper. Let’s stop calling each other out and help each other to rise instead. Sister, please know that you do not have to do this journey called life alone. If you feel the calling this is a personal invitation to step into our circle. Once a month we meet in San Francisco under the full or new moon. If you’re interested in attending one of our gatherings please visit this page to for upcoming circles and events. Also, if you feel nervous please know that it’s completely normal. It’s our job to create a safe and sacred space where you feel comfortable. P.S. 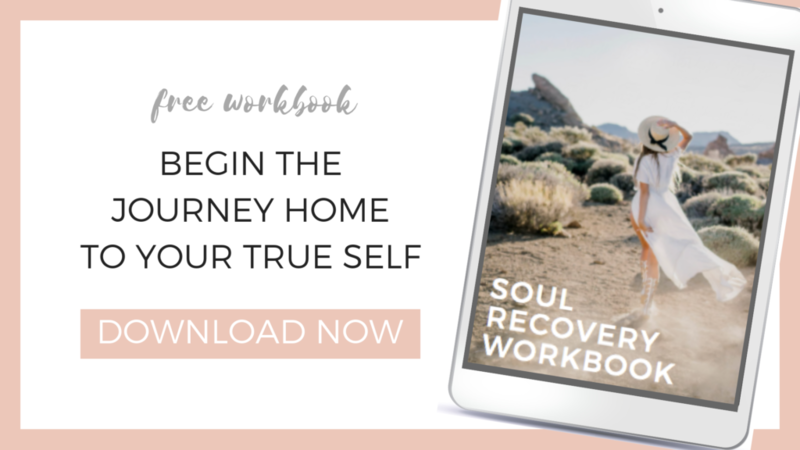 Looking for a tribe of like-minded soul sisters? Join the Facebook Group, Sacred Sisterhood SF. P.S.S. Not in the SF Bay Area? Attend a women’s circle in your area! Yoga Studios and Healing Centers are a great place to start looking.